It all seemed quiet in February for a while. Then an urgent call came through from Wigan Council. Last summer we had cleared eight phases of offices for them. Now, there was an urgent need to clear another three phases. The next day, with regular hotels booked, we got together and headed north west. The council were delighted when just three days later, which was two days ahead of schedule, the clearances were complete. Once again, we had a great time there, being made to feel welcome and part of the team. January was starting slowly with people drifting back to work after Christmas. A number of smaller clearances were completed in various locations all over the country and things were going smoothly. Half way through the month, we had an urgent call from Justeat.co.uk who were moving up a floor in their Borehamwood office building. With a fairly tight deadline to meet, there was a heavy workload, removing hundreds of workstations, chairs and office cabinets for recycling through our used office furniture outlet. The job was completed well within schedule so that Justeat were able to hand the old office back to their landlord. The company was happy, as were the staff who now moved into their pristine new space with nice white desks, colourful chairs and breakout areas. Everyone's a winner! 1) December was running along in much the same way as November had, with large numbers of small office clearance jobs. All the jobs were based in London, so scheduling and completing such clearances on an almost daily basis was quite straightforward. 2) Then, as happens from time to time, an unexpected massive project appeared. CMED Clinical Group was moving from one building to another on the same site in Horsham, Sussex. This task involved recycling over 500 items of office furniture, as well as finding new homes for over twenty fireproof cabinets. The job was completed on time and all the items, including the fireproof cabinets were recycled or rehomed. 1) Against the trend of recent years, November brought us a large number of smaller office clearances, whereas previous Novembers were characterised by large contracts. 2) There was one large clearance this month though, for SBH Page Read. The task was to clear a very large Hertfordshire office block in readiness for a new occupier. Luckily, the building was not in use and we were given the keys in good time, which meant we were able to work hard without interruption. As a result, the clearance was finished ahead of schedule, making another client happy. 1) One of the most interesting and challenging jobs yet came along in October. "The Chartered Insurance Institute" called us in to clear their entire central London office. This was a huge task, made even more interesting by the ageing building. There were hundreds of items to be moved, many of which were big and awkward. Getting that lot down the old school, winding staircase was a very interesting part of the job. Also very interesting was that on the way up or down the stairs, we were treated to the sight of the world's largest collection of Fire Insurance Plates. Back in the day, if your building was on fire, and the fire station knew you had such a plate on display, they would come and put out the fire. If not, your building would be allowed to burn down. Times change eh? 2) In an example of same day service, Olive Communications called us at short notice to clear one of their old offices in High Wycombe. The job was started on the day of the call and completed in just three days. Not bad for an office that had furniture and equipment for over 100 staff. Luckily we have the resources to clear, recycle and ethically dispose of large volumes of office funiture quickly, even at short notice if required. September saw a break in the globe-trotting that had been much the way of our work for the last few months. We have been called in to clear office furniture at locations all over the country. It's funny how such things go in cycles. Throughout September, we have been nowhere but London. Mostly the work was clearing smaller offices of 20-30 people where either all the furniture had been updated, or where staff had been moved up into larger offices. It is just as important to do a great job for a small customer moving a few dozen items as it is on the larger clearances. Make everyone delighted and you never know where you may get a call from next. 1) August is very often a quiet month for office clearances with so many people taking holidays etc., so this August was dedicated to promoting our over the counter office furniture shop in Ipswich. This is where we recycle and re-home much of the furniture that comes in from the office clearances. As the building hadn't been redecorated for some 20 years, the first steps in this ground-up facelift were in repainting each floor in modern colours, which, in itself, made a massive difference to the look and feel of the building. The studio was refurbished to take the most accurate and appealing photographs, which were posted to our web site in order to make sure that it was completely up to date and accurate. The many positive comments from visitors during August were a sure fire sign that the improvements were not only welcome aesthetically, but were also making it easier for customers to find what they want. Water dispensers have been installed throughout the building to make sure that the health and well being aspects are well served, particularly in the hot weather that the country has been enjoying recently. To help visitors find their way here, 6 metre flags have been erected at the front of the building. The next work is concentrated on the exterior with new walls to the front and improved signage to emphasise the exciting and comprehensive nature of the business, providing recycling services throughout the country. 1) Another major clearance for Wigan Council was completed in July. As this was twice as much work as the previous phases, it meant taking extra help along and spending two nights in the town. This really is no hardship as every time we stay in Wigan for a clearance job we come away with the feeling that we have been fabulously well looked after by really nice people. Apart from the hard work of moving the office furniture and equipment during the day, it is almost like being on holiday. 2) As if to reinforce they power of the 'buy local' ethos, Birketts, the solicitors who acted for us in the purchase of the Ipswich shop, called us in to clear their old offices. The company has just moved into new premises and needed clearance of furniture and equipment that formerly served their 200 plus staff members. This was a nice, easy job for us as the people had already moved, so the place was empty and we could get on with the job at full speed. 1) With Birketts Solicitors moving to their new, purpose built offices as part of a major expansion programme, we were very pleased to be tasked with clearing their original offices, right next door. The client was delighted as not only did we remove their office furniture for recycling, but we also dealt with the office waste that was generated in the process. 2) Also in June, two major office clearances were completed for Ipswich Council in Needham Market and Hadleigh, both in Suffolk. This led to the recycling and re-use of over 800 desks and a similar number of bookcases and various other office storage units. 3) Finally in June, another phase of the Wigan Council office clearances was successfully completed. Two down, six to go in finishing this major project. 1) May saw the team travelling to Wigan for one of the larger phases of clearing offices for Wigan Council. This is a very large project, spread over eight phases, each lasting two days. Overall, the task is to clear and recycle more than 500 desks, plus chairs and a thousand other items of office furniture and storage. The overnight stays in Wigan make this a very enjoyable job, with comfortable accommodation among people who are making us feel very welcome. We are looking forward to the remaining phases of this clearance project over coming months. 1) April started off busily with a large clearance for Moneysupermarket.com. Their office is right in the middle of London's entertainment heart, Soho. This brings its own problems of access and parking, so all clearance work had to take place out of hours. Well, at least it meant that we were able to watch all the people enjoying themselves in the surrounding bars and pubs while we worked! 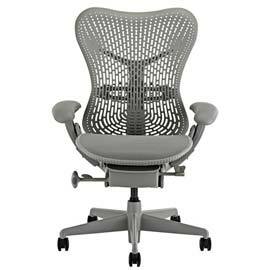 2) April was also another great month for the influx of designer office chairs. Another seven companies chose to use our services to dispose of high end chairs from Charles Eames, Herman Miller and Kush, among others. In total, over 700 of these desirable pieces of furniture were collected in the month. 3) This month also saw the new retail outlet get into full swing. With new phone systems, alarms, computers and web sites all receiving heavy investment, it is now easier than ever to select and buy items from our huge stock. This is changing all the time, so take a look at our web site at www.484officefurniture.co.uk for the latest. If you can't see exactly what you want, it is fairly likely that just the right item could come into stock at any time, so give us a call with your wish list, or click in the header of any page to send us an email. 1) In just two months of trading, the new retail unit in Ipswich is having a fantastic effect upon our business. By having a local presence, a whole new group of customers are entrusting their clearance business to us. This includes office clearances at two large sites owned by Ipswich Council as part of its restructuring programme. In total, these two jobs involved over 600 desks, with a similar number of chairs and cabinets. That kept us very busy. 2) Having the central warehouse and outlet facility has brought new benefits to smaller customers too. By offering the facility to bring office furniture items to us, we have saved on labour, vehicles and fuel on a couple of jobs recently. These savings were then passed on to the companies in the form of a rebate, making everyone a winner. We saved some costs, they got some cash. Perfect! February was a very exciting month for us. The new office furniture outlet in Ipswich was furnished, stocked and opened for business. The premises has been there for 20 years, housing a business focusing on the local office furniture market. With comprehensive re-branding and restocking, it is now ready to serve the entire UK as well as personal callers and local business people. By maintaining huge stocks of high quality used office furniture, this will also help us to reach out to more potential clients in the future. Take a look at the new web site www.484officefurniture.co.uk to get an idea of the stock available there. January came in with a bang and off we went with our first client of the year. Integro Insurance of London hired us twice more to clear other offices making them ready for a big move to Fenchurch Street. Involved in this move was office equipment including 100 work stations. Our thanks to Integro for keeping us busy over the past few months. However, our work is not all about big projects for big clients. January also saw us complete a number of smaller clearances in and around London for clients of widely varying businesses. Whatever the scale of your project, we will be happy to make arrangements for your clearance with the same efficiency, speed and discretion offered to all our clients. January also saw us celebrating a decision that was made a while ago. Our business has now expanded to a retail outlet in Ipswich. This expansion means we can reach even more potential clients in the future too. Many thanks and congratulations to the team who really put in some exceptional effort to make this a smooth move. November & December 2017: Record-Breaking Quarter AND End of Year! As the title suggests, we have been extraordinarily busy over the whole of autumn and winter. In November, HS2, one of our major clients, hired us for a project that dominated our last quarter with two enormous yet challenging projects of office furniture removals. HS2 took over the main offices in Euston station and all other surrounding buildings in the station area. We were there to clear the entire contents of the office buildings on a two stage project which meant we had to do half in November and the second half in December. This month saw the second half of the enormous project set for us by HS2 and the 5th largest accountant in the country, Grant Thornton. Their project for us was to clear out nine floors of an office building within the city. It was all good hard work that saw new homes for the items. In total we cleared thousands of pieces of office furniture including desks, chairs and other bulky items. Every item needed to be recycled ethically and responsibly, which we are well known for, and which is why so many of our customers keep returning to us for office space solutions. After all that heavy-lifting, we'll enjoy a well-earned rest over the Christmas period. If you require extra space and want to work with a business like us, friendly and professional, then keep us in mind for the new year. Merry Christmas and we'll see you again in 2018. This has been the month of working for clients at multiple sites. Coordinating office clearances for such operations is a real test of teamwork and once again, many thanks to the team for proving themselves well and truly up to the task. 1) In the first part of a contract that is going to go on for months, A large insurance company is growing through acquisition and has bought up a large number of smaller companies, all based in London. This means a large number of relatively small clearances to complete as the programme of bringing all the businesses under one roof progresses. The first clearance, from Leadenhall Street was completed this month, leaving our customers very happy with the quietly efficent work carried out. 2) Also this month, the first of a series of clearances was carried out for a leading Internet clothing company to help them streamline their organisation and centralise their resources. This one is also going to run and run over a number of months, so we are looking forward to more challenges as the vision takes shape. 3) In the growth by acquisition field, this month also saw the start of a long-term programme of clearances for an American technology company. As with our insurance client, the aim is to bring together a number of smaller businesses. The difference is that the area of operation is more widespread, already seeing us clear offices for them in Bishops Stortford and Maidenhead. September brought us days in the sun, for more than one reason as well as some very interesting work with unusual results. 1) The first of the interesting tasks in September was carried out on behalf of Moventi in Bristol. In order to get as much done as possible before this bustling, historic city got too busy, we stayed in a local hotel and started each day at 5am. This helped our client get the work completed well ahead of schedule and brought the side benefit of the work being finished at 11am on the final day, leaving us the rest of the day to enjoy the sunshine in Bristol. Happy days! 2) Our second opportunity to spend time outdoors came when an aeroplane company in Chelmsford wanted us to clear a huge amount of old furniture that was stored in a number of containers. Without having to deal with the interior of offices, stairs and elevators, we spent the day in the fresh air, removing everything in the course of one sunny day. Everything got re-used, the client was very happy and so were we. 3) A very interesting job came when we were called on to clear an office in Mayfair, London, removing not only the furniture, but also cutlery, some very nice white desks, computer equipment and stationery. All of the items are to be used in a new crime drama series that starts filming later this month. 1). Another big job this summer took us to Birmingham. The receivers had been called in to a large company and the huge task of removing office furniture was next for us. The landlord wanted his building back and so we went to work on the office space. As there were many people still working there while we were removing the items, it was clear that emotions were raw and even vulnerable. We pride ourselves in our professionalism so we offered friendly and sympathetic smiles and waves. when removing the furniture around those people who had worked in there. Sometimes office clearances are not just about the muscle involved, we have heart too. 1). During the summer months, we received a call from Mitsubishi Heavy Industries to clear a large office block of theirs. It was a straight-forward job that we cleared in two phases. As there were hundreds of chairs and cabinets, we recycled them without the need for landfill. We pride ourselves in sensibly and ethically recycling items. Caring for the environment is in everybody’s interests. 2). A challenge awaited us in Ipswich this summer. A former BT building required clearing. This is a normal kind of job for us. However, the location of the items (tall and heavy storage units) meant we had to think outside the box (pun intended). For the majority of the items we were able to remove via the lifts but the storage units required some old-fashioned thinking. So several of us took them carefully down five flights of stairs proving no job is too tough for our team. No blood, plenty of sweat but no tears means it was a great challenge accepted. 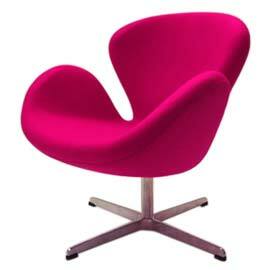 The flavour of June was a large number of smaller clearances of high end designer furniture. Whatever the size of your office clearance, we are usually able to help recycle your furniture quickly, efficiently and cost-effectively. 1) An unusual job in June was to clear 500 brand new desks, still in their original packaging, from the premises of an office furniture manufacturer. They were branded as 'unsaleable' because they were no longer considered trendy enough for the new market. We found new homes for all of them within the month and are now busy recycling all the cardboard boxes! The characteristic of May for us was a small number of very large office clearances. 1) A major software company needed to clear two offices of some 600 work stations. The work was based in Norwich and the More London building in Tooley Street, London. This was a big task with tight deadlines, so we were very glad of the facilities (including lifts) in the nice, modern buildings, which helped us to get the work completed well ahead of schedule. 2) We were able to help out a very stressed facilities manager for a cosmetics company in Brentwood, Essex this month. His preferred office clearance company had let him down at the last minute and with a deadline looming, found us on the Internet on the same day. The last minute request was to clear four storeys of their office space. We pulled out all the stops and it was highly satisfying to be able to help out and get the task completed a day ahead of schedule. A month virtually spent away from home, then back to an old familiar friend of a building. 1) It's nice to go travelling but is oh so nice to come home, in the words of the old song. Virtually all of April saw our team scattered across hotels in Manchester while we completed our biggest clearance this year for Addleshaw Goddard. The task was mammoth, with thousands of items to be moved, it was all hands to the pumps every day. We had a great time in the process, met some great people and enjoyed working in a great place, but it is nice to get home and be back to normal for a while. 2) One of our more familiar visits is to Elizabeth House, opposite the London Eye. To keep up with expansion, the company concerned needs new furniture, and we ended up moving more items from there than in all our previous jobs. A great month for chairs and expanding customers. 1) Our first job in March was to remove 300+ mobile pedestals for a hi-tech company in Knighstbridge. Working in such a busy part of London always involves early starts and late finishes to get the job done without causing disruption, but as always the team performed brilliantly and got the task finished in good time. 2) On to the NatWest Tower, where 400 high end RH chairs were removed to make way for new items. Being the third tallest building in London meant that there was a fair amount of distance to be travelled up and down to collect them all, but once again, well done to the team for getting the job done in good time to allow the customer a seamless transition from old to new. 3) Even more chairs came our way in March with the collection of over 300 bistro chairs from a canteen area in London Docklands. 4) Meanwhile, back in London and the iconic Gherkin, downsizing and upsizing became one as we had to move 200+ bench desks for a company that is expanding so fast, they had to install smaller ones to fit everyone in! The flavour of this month was very much one of testing our capacity to handle clearances of big offices under testing conditions. 1) February started with our largest clearance to date for Balfour Beatty. The offices in Maidenhead, used in conjunction with Crossrail, comprised a number of temporary buildings housing over 150 workstations. The furniture had been thoroughly used under harsh conditions on site and was not good enough for re-sale. Everything was recycled even down to the last screw. 2) In a slightly smaller job, 90 Ahrend desks were cleared in one day in conjunction with our transport partner. By providing disposal and recycling channels, we were able to make sure that our sister company, Office Clearances London, was able to handle the task quickly and efficiently. 3) The old Haringey council offices on Seven Sisters Road provided our biggest office clearance task of the year so far. The biggest clearance of this year so far was the old Haringay council. This was also possibly our most challenging job so far too, as the lifts were out of action, so over two weeks, the team manhandled everything from three floors down the stairs. It was backbreaking work at the time, but very satisfying to look back over a job well done and congratulate ourselves on losing a few pounds. This was the month for getting things done at short notice, clearing offices at the drop of a hat. 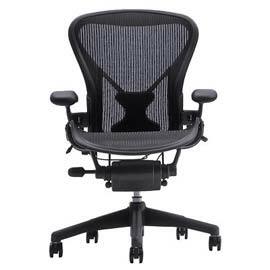 It was also a very good month for intake of designer office chairs. Luckily with a great team to call on and specialist channels for recycling high-end designer office furniture, the jobs were all completed quickly, efficiently and without fuss. 1) The first job was to clear 400 Giroflex designer chairs from basement storage in central London so that the rapidly expanding finance company could convert the room to extra office space. This job was contracted to our sister company, Office Clearances London, who we were able to assist by using our specialist recycling channels to make sure that these great chairs went to good homes. 2) Working closely with Balfour Beatty, an office clearance in Cambridge was completed the day after we got the call. This kind of response isn't reserved for just our biggest customers though. If you need to complete an office clearance, and find yourself under severe time restraints, calling our team will bring sufficient resources to get the job done in your timescale. 3) A little closer to home, a well-known company in Basildon needed a 500 workstation clearance job done in extremely limited time. As usual, thanks to our team, who pulled out all the stops, the job was completed within the customer's deadline. 4) Once again, thanks to our sister company, Office Clearances London, on three occasions in January, we were able to quickly move 100 Herman Miller chairs from an investment bank in London's finance district. If you need an office clearance, which includes specialist, high-end, designer items, you can count on us for convenient and efficient work. 1) The German bank IKB Deutsche Industriebank called us on a recommendation to clear their offices on Cannon street. The job was completed well within the schedule of a day which pleased the customer as they didn't have to fly in from Germany. 2) The final job of the year was to clear 750 desks and 750 chairs along with a load of other furniture from an empty office block in London Wall over a two week period. The building is now read for refurbishment to start in the new year. 1) At the start of this month the team was asked to clear over 400 RH Logic chairs from a storage facility in South London. The job was of course completed quickly and efficiently. 2) This next job required some meticulous planning to get it just right. A customer from Heathrow needed more than 1,400 chairs cleared and recycled over two weekends, this took ten people to get them all out and into four 17 ton lorries at the same time as the new chairs were coming in. If that wasn't complicated enough, we were only able to work in three hour slots at a time. As always, the customer was very pleased with the final result. 3) The Ipswich Star has moved offices recently and they needed all their old desks taken away from the old office and recycled. The job was completed as per usual in an orderly and professional manner. Over 150 desks cleared well within the time allocated. 4) Our clients at Chancery lane asked us to come back and clear another load of over 100 desks, chairs and cabinets. This is a very familiar place to us now as we've cleared out so many offices there. 1) One of our regular customers manages multiple properties in Chancery Lane. They wanted two loads of desks totalling 300, taken away from two locations this month. We completed the job efficiently and on schedule as per usual. The job also included hundreds of other items that needed recycling, too many to name, but not too many for us to take away. 2) Real holidays of Islington needed their old furniture recycled while they moved to their new office. The whole job was completed in just a single day, we handed back the keys and left the customer happy and satisfied with our performance. 3) Directly in front of Cambridge City train station lies a large office block that Brookgate will be refurbishing. The offices needed clearing out for this, Brookgate needed a no-nonsense team of professionals to get in, get the old furniture out and get the job done. This is what we're best at, we completed the job on schedule as usual. 4) Our mammoth task of clearing forty different sites over a seven week period for a major high street retailer has now ended. It was one of our biggest jobs but was not a problem as it's all in the planning and organisation. 1) The Elizabeth house had two more areas of office space for us to clear this month, It's always good when customers think of you first, in the same way our clients get thought of by us first. The relationship with Elizabeth house is working so nicely and it is pleasing that they call us when they need furniture moved. We hope to have more business from them in the near future. 2) The large office block in the centre of Halifax town and the Dean Clough Mills both experienced a big clear out this month. A combined amount of desks totalling over 500, with the same amount of chairs and units on top of that. Unlike our London jobs which have strict timescales, this one was very casual so we will be back again soon to finish the job. 3) Astrazeneca, the large pharmaceutical company's head office in Macclesfield wanted 578 desks removed from their office this month. Of course this was not a problem for us, we re-homed all the desks within a couple of days. 4) The most interesting place we cleared this month was the HPI offices in Salisbury, which were moving their entire office but leaving everything behind. All the office's furniture was cleared out in a timely and organised manner. A 12th century hotel was the accommodation for the team until the job was complete. 5) The Samsung offices in central London wanted one of their unwanted offices cleared out. Needless to say, the job was completed in time for the office to be handed over to the new clients. The office contained likely the best furniture this year so far, leather chairs and executive furniture throughout. 6) Addaction, the charity dedicated to helping people with addiction, needed to vacate one of their buildings in Surrey, they needed an organised and fast team to complete the job, so that's what they got. We cleared the whole building in just one day. 1). Just across the River Thames from the London Eye, is Elizabeth House. In August, the area has been particularly busy, with two companies calling on us for office clearances from this building. The area is very busy and getting the job done requires meticulous planning and effective teamwork. Both clients remarked on the efficiency with which their offices were cleared, which in such a busy, central location is no mean achievement. 2). When a blue-chip financial company needs to clear a sensitive space like a disaster recovery office, they need to know that whoever they call upon to manage the clearance is reliable, trustworthy and discreet. Having considered a wide range of offers, this exciting project was eventually entrusted to us. The task was completed well within the allocated time and with minimum disruption. 3). If you need multiple locations cleared out take this job we took at the end of August as an example of how we handle these tasks. It takes meticulous planning, co-ordination and effective teamwork to clear out up to a dozen buildings. So when a well known department store in London asked us to discreetly clear out twelve of their locations, naturally, they got the efficient, quick and highly discreet service that all our clients enjoy. If you have multiple locations to clear, call us now, or click in the header of any page to send an email. 1). Office Clearances mean different things to different people. This particular customer was a store in East London, who wanted over 800 prestige office chairs cleared in just two days. This represents the biggest single chair clearance to date. Despite traffic and a very tight deadline, the clearance was completed with time to spare. Another example of what can be achieved with great teamwork. 2). As the old saying goes "All good things must end", and so it is with the relationship that has built up between Grays Borough Council and ourselves. For over two years now, the council has used us as their go-to company for office clearances, giving us a variety of interesting office clearance challenges over the time. While we are sad to see the contract come to an end, the experience has been interesting throughout. This has also given us the opportunity to demonstrate to other councils and unitary authorities the level of service that they can expect when they need help in clearing offices and workspaces. The result is that a couple of other borough councils have engaged us for office clearances and we are currently negotiating with some others. 3). Every time of change is a time of opportunity. Some change is welcome, some not so welcome. Take the closure of London's famous Lambeth College as an example. The variety of items needed to run such an educational establishment is huge. This made the campus clearance a mammoth task, as everything had to go, not just tables and chairs, but all related educational equipment too. The opportunity in this came to us in the form of being able to demonstrate how versatile and flexible our office clearances can be. Like all educational authorities, London has a very tight set of operational guidelines and has to get the best possible value for money and time. After a rigorous decision making process, it was greatly encouraging that they chose us as their partner in this clearance. 4). The higher end of the office chair market can bring its own problems when it comes to time to update or replace. With our extensive contacts and network of recyclers, even the most prestigious furniture can be efficiently cleared. This has never been more true than in this month, during which our office clearances teams have removed more than 1500 designer office chairs from business premises of all sizes and types. 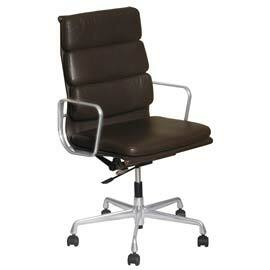 Just call or email us to remove your unwanted or superceded designer office chairs. 1) Impressed by our long-standing working relationship with Grays Council, for whom we have cleared a large number of offices over the last two years, one of West London's largest borough councils has given us a major contract. They have over 1200 workstations for us to clear over the coming few months. There is a wide variety of office furniture, including chairs and cabinets for us to deal with, from a variety of locations, so flexibility is going to be the key to success. 2) The road to Abingdon in Oxfordshire has been well trodden by us this month, with three visits to a large IT company. Each visit has been to clear existing office furniture on a busy business park ready for installation of new furniture. The client chose us because of our track record of meeting and beating tight deadlines. Every clearance had to be completed in the day so that there was no down time in the office, and new furniture could be installed the next day. 3) This summer has seen us recycle more office chairs than ever before. From a national hub in Rochester, Kent, so far we have collected more than 900 chairs with more to come over the next few weeks. Thanks to having very good relationships with resellers and businesses throughout the country, recycling at this level is what we do best. 1) The first job in May gave us an opportunity for some sightseeing and socialising in Scotland. Given three days for an office clearance of 150 workstations in Glasgow, was a chance not to be missed. By dint of early starts and late finishes, the clearance was completed in just two days. This left the team a day free to be tourists and soak up the atmosphere of this vibrant, historic city. Many thanks to the lovely people that we met who made us all feel most welcome. Distance is no object when it comes to clearing offices, even though Glasgow is a long way from our base, efficiency and teamwork get the job done in a timely, cost-effective manner. 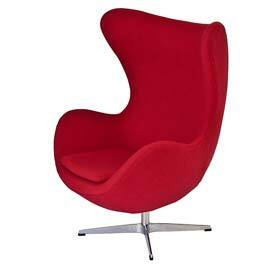 2) May also saw one of the biggest clearances of designer chairs that we have carried out so far. With 200 Herman Miller chairs to move each week from central London, we made our client very happy and had some extremely nice chairs to find new homes for. 1) It seems that April is 'Keep it Local' month for us, carrying out two large office clearances in Brentwood during the first week. The first was for the well known underwear company, Melas, whose hosiery and lingerie products are to be found in just about every high street. The company's headquarters are in Brentwood and they were closing one of their offices. Just a few days later, we had a call from Intertek, a cutting edge company involved in testing, inspection, safety and environmental protection for companies as widely varied as supermarket chains and offshore oil drilling. Their need was for a rapid clearance of an area to make room for new staff desking. Both these local clients were very happy with the speed and efficiency with which their clearance jobs were carried out. 2) Back into central London for the next job in April where for the second time, we were called on to clear floors of furniture from the famous Mearsk building. This came from word of mouth recommendation and it is always good to know that the word is spreading from happy customers. 3) Heading slightly north eastwards now to clear hundreds of mixed furniture items in Ely near Cambridge to avoid spiralling storage costs. Variety is the spice of life, and we certainly get plenty of that in this job. 1) Vanwall business park in Maidenhead, Berkshire is famous as home of the racing cars that bore its name through the 1950s and 60s. The area was dominated by the Vandervell bearing company at the time who still have a major presence in the area. However, nowadays, there is a wealth of business variety on the business park. One of these businesses called on us in March to move 110 desks against a very tight deadline of just two days. The task was completed with time to spare, thanks to a great team, making early starts and getting on with the job. The client was delighted, having perceived this as a major task. It is just all in a day's work for us. 2) Long walks and sore feet are also just part of a day's work for us. The long corridors of one of London's largest buildings were tackled with gusto to move 350 chairs before staff arrived. Another tight deadline, another task achieved. 3) Ricoh came to us again for another challenging job. The company was closing its site in London Colney, Hertfordshire, where they needed office furniture and warehouse racking removed. Our specialist racking team swung into action and dismantled the racing effortlessly, while observing the strict health and safety guidelines. Teamwork and a joint effort completed the project well within time, keeping an already happy customer smiling. 1) Our year got off to a bang, clearing another floor for Berwin Leighton Paisner in London. This involved the usual out of hours work in order to minimise disruption, not only for our client, but also for their neighbours. Parking and access here are made difficult by the current roadworks building the cycle super highway, which also takes up a big chunk of the working day. As usual, the job was completed on time with the minimum of fuss, leaving our client happy and the office empty, ready for re-use. 2) A short-notice job for Ferrero came to us out of the blue this month. With a tight deadline and sub-zero conditions, the pressure was on to clear an entire floor in time. Once again, the happy customer was delighted with our ability to react to their request quickly and work through to completion within their time scale. 3) So far this year, jobs don't come any bigger than the request we had from Philips to clear one of the office blocks on Guildford Business Park. The task was to clear over 500 desks, 800 chairs and 200 cabinets within 7 days. By staying in local hotels, our team was able to make an early start and work through each day to get the job done in time. Philips occupies the main building next door, so there was a progress check each day. At the end of the process, our customers were full of praise for the organised way in which this project was managed in order to complete a very tall order against a tight schedule. 1).What should have been a routine large clearance became a little complicated as it turned out the days scheduled for removal of 300+ storage units from Berwin Leighton Paisner had also been choses for renewing the tarmac on the cycle superhighway that runs outside their office. Not to be delayed by such a coincidence, in order to get the job done in the timescale needed by the client, our work was carried out between late night and early morning to beat the 6am road closure. As a service business, we love a challenge and will always rise to meet the needs of the occasion and make our clients happy. 2). With the closure of a huge training centre in Birmingham, our client needed to get more than 5000 items of office furniture and equipment moved and recycled in a week. This involved our team in a huge amount of leg work. Luckily, there was nothing very heavy or awkward involved, but moving that number of items in a relatively short space of time involved a lot of leg work. Once again, the clearance was completed ahead of schedule and the customer was left happy. 1) Amlin Insurance in Chelmsford was our biggest clearance in November. Due to them moving into a brand new facility, with new furniture throughtout, the company called us in to clear two buildings adjacent to each other in the town centre. The workload was to clear 500x workstations within a four week period. Not being used to having such generous deadlines, we finished a week ahead of schedulue. If pressed, the work could have been completed in a week but having the extra time enabled us to keep the costs down as well as being able to find some worthwhile local projects and donate furniture into the local community. 2) Throughout November, we were kept very busy with smaller jobs, requiring the removal of 20-50 workstations in a wide range of locations all over London and the South Esat. Bigger jobs like the Amlin Insurance one mentioned above are great, but we have a lot of fun with the smaller jobs, which offer great variety and bring us into contact with all sorts of interesting people. It is nice when smaller businesses also put their trust in you to clear their space in the knowledge that 100% of the material we move is recycled, thus helping them to keep their carbon footprint promises. 1). This month sees a milestone in the work we have been doing for Grays Council in Essex. We have been clearing items for them for two years this month. In that time, some 4265 items including 1062 desks have been recycled. The work is due to end later this year, but there is still plenty to do. 2). The Financial times asked us to clear the storage arches adjacent to their London head office. This was achieved in just two visits with a few van loads taken away for our full recycling protocol. 3). The international wellness company Nikken called on us to clear several unused areas at their Milton Keynes office. 4). Due to a company liquidation, we were given just over a week to clear 500 staff workstations including desks, chairs and units. Starting on a Monday, the task was complete by the end of the following Monday. Jobs like this are no problem when you are organised and geared up to deal with large quantities like this. Yes, it was hard work but we do like a challenge. 1) Pepsico in Reading moved to nice new premises and we recycled all of their old furniture comprising nearly 1000 desks and over 600 chairs from the main offices. Along with these items, Pepsico also had dozens of meeting rooms, breakout areas and a wide variety of informal areas containing a wide range of mixed furniture and storage items. The entire project, covering two office buildings was completed in just nine days, which was four days ahead of the deadline for handing back the buildings. Pepsico chose us for the job because of our track record and expertise in office clearances. They welcomed the extra time that our efficiency gave them in completing their major relocation project. 2) Due to the building being turned into flats we were asked to swiftly empty 130 desks, chairs various matching furniture from a business centre in central Chelmsford. There were just days before it needed to be handed over to the construction company. This task was organised and finished within 3days, fast even for us. 3) We also had to rush in order to get another building ready to be handed over to the construction company for flats conversion. This time on behalf of Vodafone in Southend. The project included 140x desks, chairs and various units to be dismantled and recycled to a very tight schedule that worked well for everyone. It's been a busy July full of smaller projects here at Evans Trading. Below are a few of our more exciting projects! 1) Leading brokers ICAP needed a sweep clean of their IT stores. In order to prepare the building, we removed everything from the fridges. This included everything from fridges, racking and old IT to furniture and cleaning materials. 2) Clyde and Co. solicitors needed an old roller racking system dismantled and taken away. The job was no problem, as these kind of jobs are fairly regular on London clearances. With our help another area is cleared and ready for more modern uses. 3) As part of their expansion into the new Walkie-Talkie building on Fenchurch, DWF solicitors needed us to clear a 60-desk office. Under strict time constraints, we removed all the furniture, making the office ready to be returned to landlords. Another successful clearance! 1) Yahoo: Yahoo celebrated 20years this year, we was asked to clear an office area of over two hundred chairs for recycling so the space could be used for the party. Happy birthday Yahoo. 2) Comac investment bank was moving out of the old offices above Langans restaurant opposite the Ritz to new offices. We were asked to do a complete removal all their old furniture. Access restrictions were very strict on this job. The building manager would only allow furniture to be taken out through the back. This meant that only small vans could be used and everything had to be pushed up a ramp first, making the job of clearing the offices much harder than it otherwise would have been. We overcame the problem by assigning lots of labour to the task to make sure that we kept our promise to the customer. This was a great place to work and great people to work with. 3) Berwin Leighton Paisner solicitors asked us to clear a complete floor of offices this bank holiday weekend ready for the refit starting on the Tuesday. This was a huge challenge but we worked around the clock clearing over 300 units, 100x desks & 100x chairs finishing half a day early. This customer contacted us at very short notice for a major office clearance. We got the call to look at three floors in 207, Old street EC1, all belonging to one company on the Monday. After an hour we had secured the deal, arranged all the labour and vehicles to start clearing their offices later the same day. As is so very often the case, the office had to be cleared within a very tight schedule. Knowing that we only five days to clear all three floors, comprising over 300 workstations with chairs and similar numbers of storage units, the office clearance team worked flat out. As is so often the case in London, the building had strict loading time restrictions, so we prepared during the day and loaded at night. To further complicate matters, other tenants were moving their office equipment and furniture out at the same time. With a great feat of teamwork the offices were cleared well before the deadline. March must be the month for last minute office clearances! Carphone Warehouse called us one Monday to view the task of clearing the company's head office in Acton W3. When we met their team at the office on the Tuesday, they gave us quite a shock by saying that all 400 workstations and various units had to be out by Saturday. Four days to clear so much office equipment and furniture is quite a demand. As is our way, we shook their hand and started on the spot, dismantling and calling the vans in for loading as we went. With so much furniture on split levels in the office building, this clearance was never going to be easy. As it that wasn't enough of a challenge, the lift broke down before we even started. Regardless of such complications, a deadline is a deadline and a promiser is a promise. Carphone Warehouse were impressed by our commitment and performance in clearing their offices so efficiently and at such short notice. As for the company fitness programme, we all had a good workout on this one. Hays Macintyre was a challenging office clearance with 100 workstations, including similar numbers of storage units and chairs, along with three large archive storage areas. This all to be dismantled and out of the building by the deadline. No problem; we worked on this one 24hrs a day, as the loading on Holborn was restricted to 4-7am. Being on a bus route made this even more challenging. Our building had no access for loading so this was achieved with lots of skates and trolleys, ferrying and loading the lorries using all available manpower. The day before the due completion date the boss had his doubts, I said we will work all night and when we see you at 9am for the handover you will be happy. Of course he was. We all worked hard on this one, to make it another successful office clearance. The Field Fisher Waterhouse was one of, if not the largest office clearance in London in 2014. We cleared over 1200 workstations with chairs, over 2500 various storage units along with all the meeting rooms and various other hidden rooms throughout 35, Vine street EC3. Ibex House on the Minories was also a part of the office clearance, which we had to complete in just 2 months. The office clearance task was to clear both at the same time. Both buildings had different loading restrictions, which again presented no problem. To get the office clearance done and make our customer happy, we just worked long hours and did split shifts. In 2013 we carried out office clearance work at 66, Chiltern street W1 for Ricoh. Because they were so happy with our work, the company called us back in during 2014 to clear all the offices, archive & warehouse racking in Feltham West London. Recent-office-clearances page, 484 Office Furniture cash paid for designer office fuirniture in Barbican, Clerkenwell, Finsbury, London. designer office furniture. If you are updating or upgrading your office furniture and you wish to replace any designer items, let us turn them into cash for you. We specialise in paying immediate cash for the right items and collecting from the Barbican, Clerkenwell, Finsbury area. Cash buyers of Recent-office-clearances in Barbican, Clerkenwell, Finsbury, London.Recent-office-clearances page, 484 Office Furniture cash paid for designer office fuirniture in Barbican, London. office furniture clearance services and commercial furniture recycling. If you need more space, or a clear office in the Barbican area. Whether you needing to clear your office space, downsizing your business, or relocating in the Barbican, for a quick, competitive response, call the experts at Office Clearances on 01277 204416. If you prefer, follow the request a call back link and let us know when it is best to get back to you, or click in the header of any page to email us. Cash buyers of Recent-office-clearances in Barbican, London. Page generated in 0.0076 seconds.